Thousands of people will visit the White House for the holidays and take self-guided tour through executive mansion. Some will be visiting the White House as invited guests, others because their member of Congress booked them on a tour, and others will be there for an official function. However, they will all have something in common: The first thing they see when they enter the White House. Virtually all white house tours begin in the East wing. As visitors walk through security and up to the colonnade, the historic features of the White House are in full view. After entering the White House through the eastern entrance, guests are welcomed by greeters and handed a brochure about the various displays in the home. However, before going any further, the attendant will point your attention to specific tree that sits at the top of the stairway, better known as The Gold Star tree. The Gold Star tree honors the families of fallen American service members. It is covered in patriotic ribbon and golden stars with a large gold star on top. The tree also honors active duty service members in a very special way. 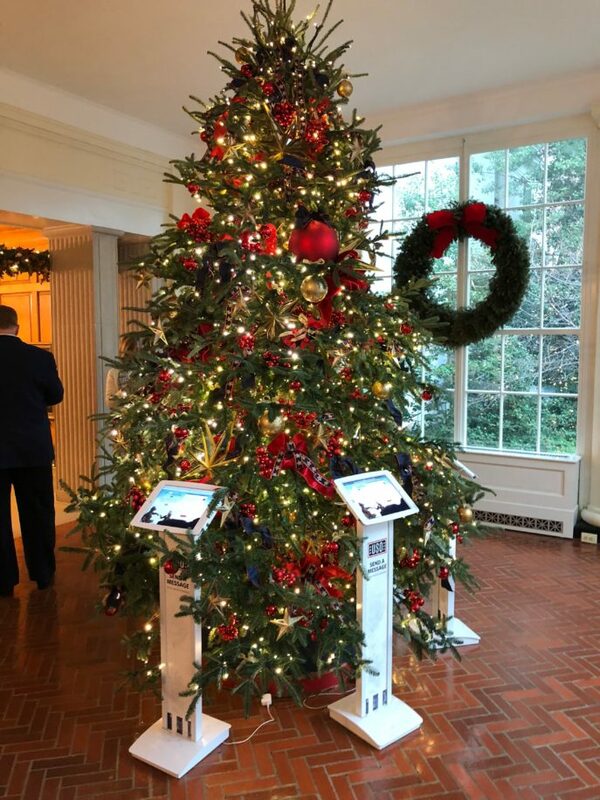 The tree includes four iPad stations, where visitors may write messages to active duty service members for the holidays. These messages will then be sent to troops serving abroad who will not be able to be home for Christmas. This is not the first time that the White House has honored our service members with decorations. However, this bold, up-front attempt to honor and encourage the troops will surely be appreciated.